When learning a new language, I find there are, at least, three approaches you can choose from: classical, artistic, and modern, let’s call them. Simply put, you can either start a course, buy books, dictionaries, and other useful materials. Visit a foreign country, and learn the language straight from the people, their movies, their traditions, and culture. Or download an app to help you. An app like Babbel. 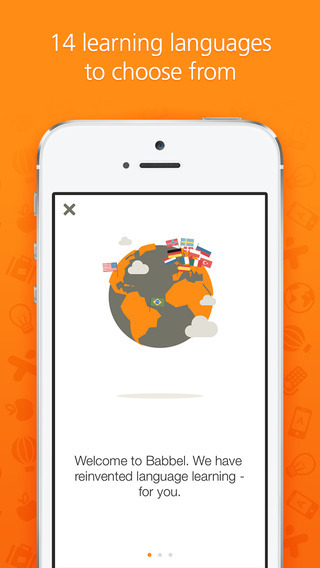 Babbel helps you learn a foreign language, as fast as you can, without having to leave the comfort of your home. You can learn one or more languages out of the 13 the app currently offers, from Portuguese, Dutch, or Swedish to Turkish, Russian, or Indonesian. 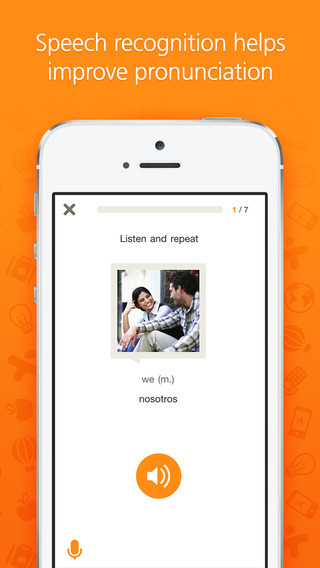 Learning a foreign language has never been more fun, comfortable, and easy than it is with Babbel. Babbel has an extensive list of courses to get you in touch with everything you need to know about the language you want to learn. From classic grammar, listening, and speaking courses, to the more fun part of the language, including idioms, or business and communication terms, with Babbel, there is always something more to discover, when learning a new language. Plus, it’s intuitive, and extremely user-friendly. Sign up with your email address, or link your Facebook account, and you can start a course on one device, and finish it on another. It’s all synced to make your experience as pleasant as it gets. Now, compared to another popular language learning app like Duolingo, I think the biggest difference is that you need to pay to access all the courses on Babbel, while Duolingo is totally free of charge. On the one hand, Duolingo is more structured, it has a more extensive and organized learning plan. It follows a more classical learning scheme, so to say. The exercises are more complex, while Babbel seems to fucus more on repetition as the main learning tool. On the other hand, Babbel has a more extensive Reading and Writing Part, and is more keen on the things you need to know while traveling to the place where the language you’re learning is spoken. The Countries and Traditions part includes all sorts of courses designed to help you learn the language-related basics you need when visiting a foreign country. All in all, it’s clear they are both great apps. If I was preparing to travel to a foreign country, I would most probably choose Babbel, start with the Basic courses, learn about food and drinks, and focus on the Countries and Traditions courses. But if holiday traveling is not the only reason you’re looking to learn a foreign language, then I think Duolingo is a better choice. What do you think of Babbel? Scroll down for our comment section and let us know!